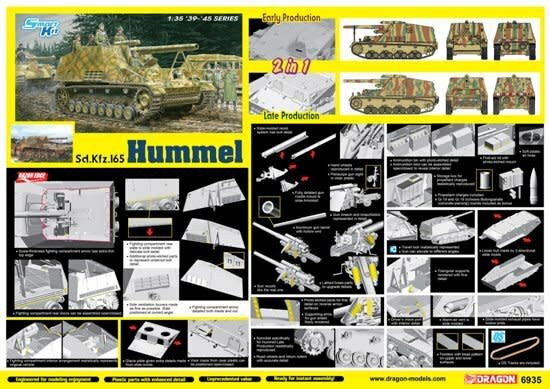 Sd.Kz.165 Hummel's combat debut occurred during the titanic Battle of Kursk. 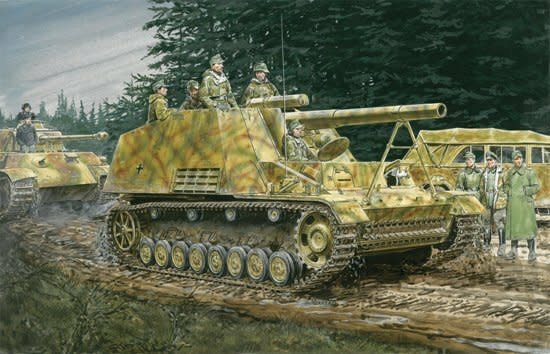 Operated by a crew of six, the SPH carried 18 rounds for the main armament and more than 700 were built by the end of WWII. 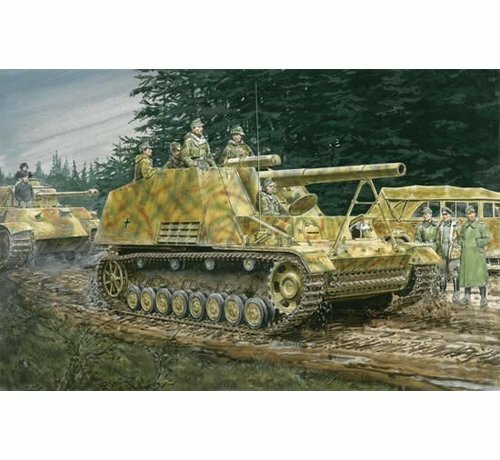 An easy identifying feature between Early- and Late-Production variants of the Hummel is the driver's/radio operator's compartment. On early vehicles, the driver received a small compartment that jutted out of the glacis plate. 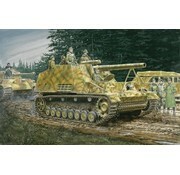 On later vehicles, this crew compartment was extended the full width of the hull to also enclose the radio operator. 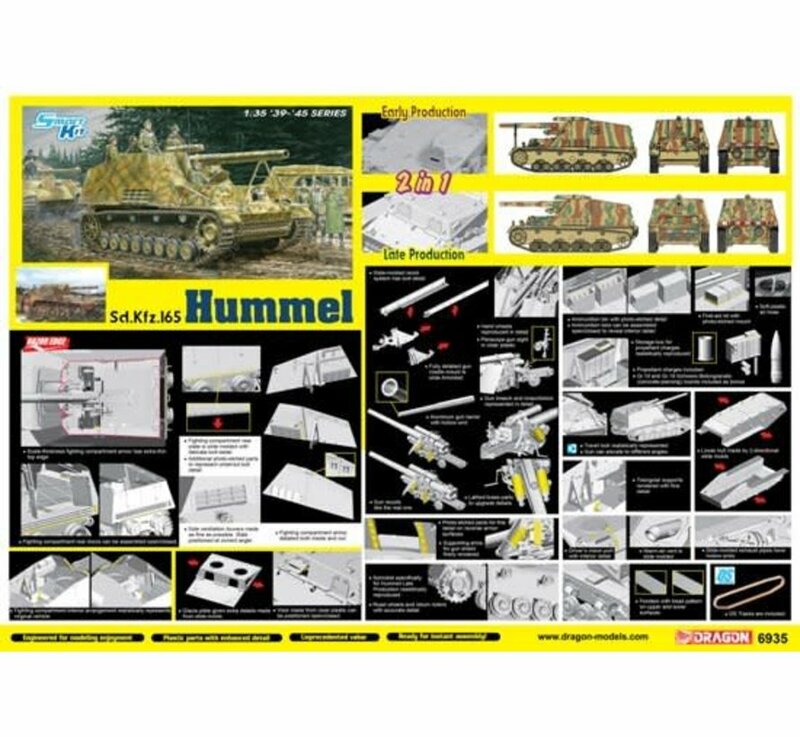 This 2-in-1 kit, built precisely to 1/35 scale, allows modelers to create either an Early-Production or Late-Production Hummel. To account for the different production runs, there are two complete upper hulls as well as different drive sprockets, for example. Indeed, everything needed to produce an accurate variant is included in the box. The engineering is top notch too, with Razor Edge techniques utilized for the armored superstructure to produce a true-to-scale appearance. This allows interior fittings to be accurately sized and shaped. Furthermore, an aluminum gun barrel is offered for the 15cm gun. To cap it all off and leave modelers buzzing, the Hummel kit box top features one of Ron Volstad’s famous vintage illustrations of this SPH. The flight of the bumble bee has soared to new heights with this 2-in-1 offering!